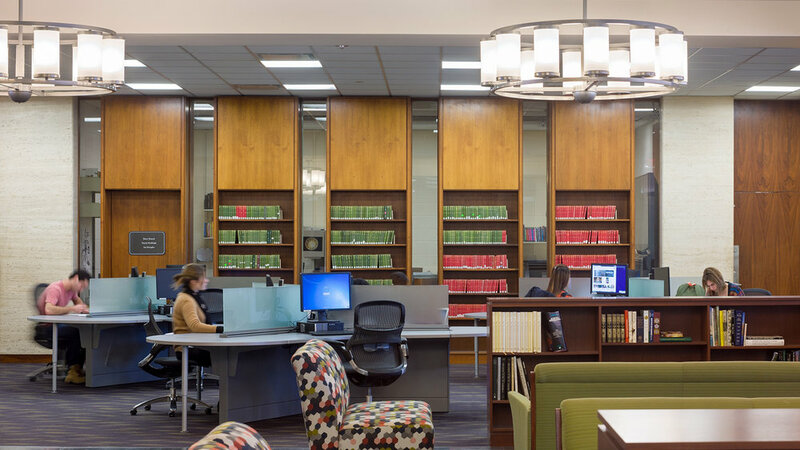 Brown University - John D. Rockefeller, Jr. Library Central Reading Room — Ed Wojcik Architect Ltd. 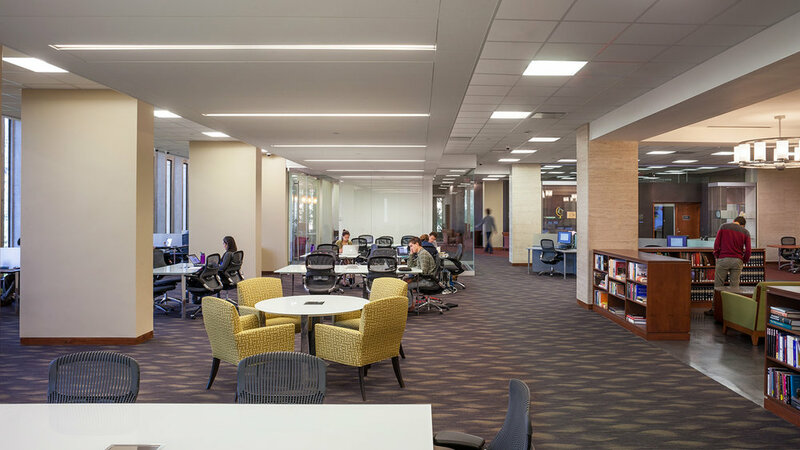 The renovation of the Central Reading Room at the John D. Rockefeller, Jr. Library at Brown University was inspired by movement from darkness to light. This seeking from dark to light echoes the pursuit or knowledge. Connections between other spaces in the library influenced the flow of spaces. 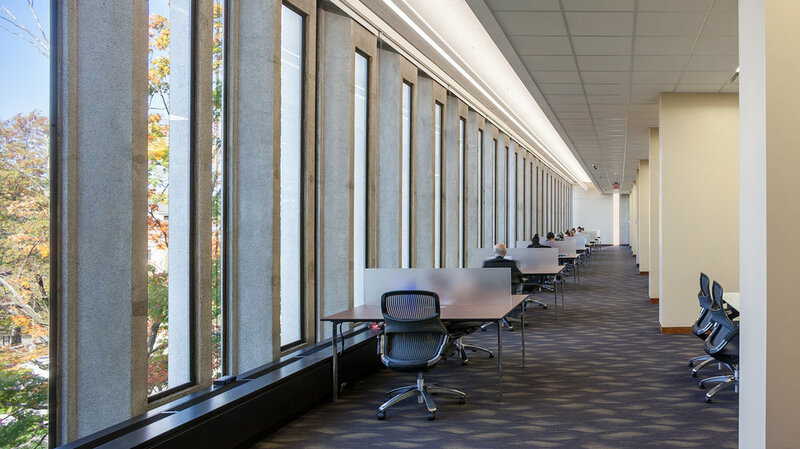 Conference rooms enclosed by glass allow natural light to enter space for louder group discussions in the library. New lighting responds to the natural light levels in the space. The slender vertical exterior windows celebrate a magnificent view of College Hill and downtown. 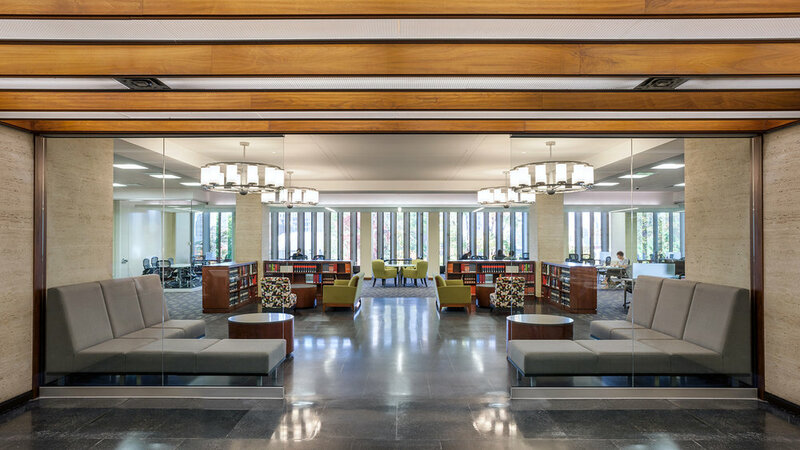 Interior finishes of terrazzo and exposed concrete were selected to respect the existing materials in the library. 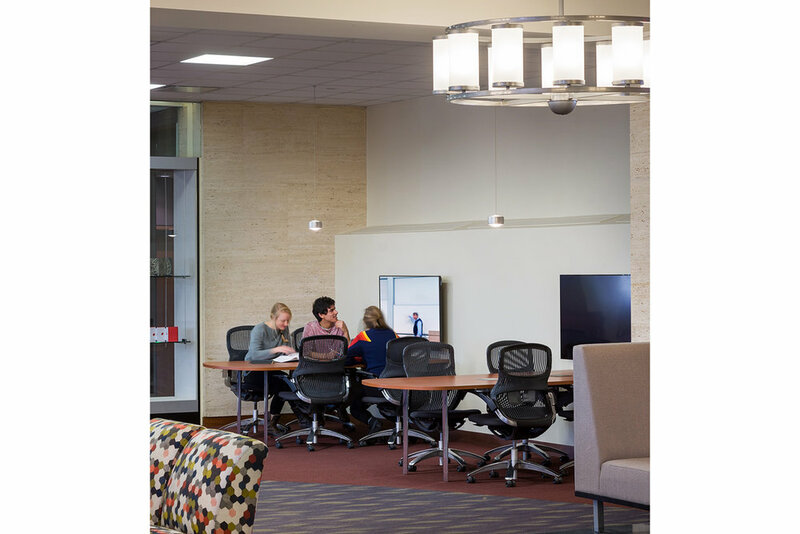 Furniture includes collaboration stations with monitors for group activity, multi-desk systems for flexibility between individuals and groups, large research tables, individual desks, and soft seating.